What is Student Loan Cancellation? Student loans can be a huge financial burden for many people; with tuition rates on the rise, debt from these loans is destined to increase over time. For those Americans who may be unable to pay their student loan debts, there are options for relief. One of these options is student loan cancellation, which may help some debtors avoid loan default with student loan bankruptcy. Student loan cancellation is the process of eliminating a debt balance so it does not have to be repaid. Loan cancellation is only an option in specific situations which may include school closure and false affirmation of educational benefits to students not holding GEDs or high school diplomas. Individuals in these types of positions are more likely to be granted cancellation. Cancellations may also be available under other circumstances. Some situations may include cancelling the loan of a deceased individual or ending payments for someone who has become disabled. Depending on the loan holder?s job title, some loans may even be cancelled for those holding positions that the state considers necessary. People who work in certain jobs such as public service or teaching may qualify for student loan cancellation. For teachers, this is often true when the subject matter is in high demand within the geographic area where the individuals are employed. Some teachers even base their career decisions on where their student loans will qualify for discharge. They are able to do the work they love in an appealing geographic area and have tens of thousands of dollars in student loans written off permanently. Once a student loan cancellation has been approved, there are a number of ways in which the remaining balance is eliminated. In some cases, most if not all future loan payments are terminated and the balance of the debt removed. Some individuals may even see reimbursement of payments already made, including any wage garnishments or tax interceptions. For special circumstances, such as school closure or false affirmations, the loan may be treated as non-existent and all negative credit marks are wiped away. The process of filing for student loan cancellation can be complicated; most loan providers are not forthright with relevant information and many factors play a role in granting cancellation including school type and types of loans received. Students who attended for-profit or private schools may be eligible for cancellation if they did not receive the correct refunds or the institution closed. Students utilizing Perkins, FFEL or Direct loans may also qualify. 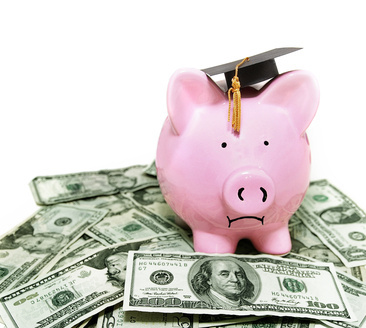 With help deciphering eligibility, consult a lawyer well versed in student loan standards. The loan cancellation process begins by contacting the lender or the Debt Collection Services Office of the Department of Education. A loan cancellation application must be completed and submitted with relevant documentation. For example, a physician statement describing how your physical condition affects your ability to work may be required for a cancellation request due to disability. Consequences of defaulting on student loans can be damaging, including increased balance due to late fees as well as harm to an individual?s credit. In the worst default cases, loan providers do not hesitate to pursue collection through wage garnishment and intercepting holder?s tax refunds. Student loan default can be extremely destructive to a financial future so it is important to look into relief options if payments cannot be made. If you believe you qualify for cancellation of student loan debt, contact your lender or a bankruptcy attorney for more information. Qualification is a tricky matter and it helps to consult with an expert. Wiping out student loan balances is one way to get the financial situation back in order. ?